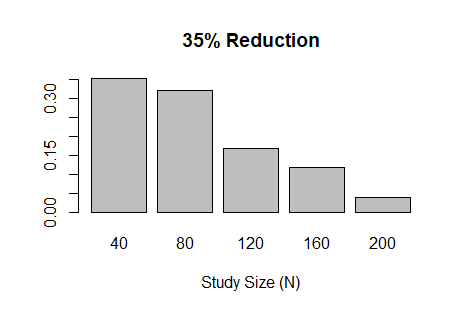 I had an opportunity recently to design a Bayesian adaptive trial with several interim analyses that allow for early stopping due to efficacy or futility. The code below implements the one-arm, binary outcome trial described in the great introductory article by Ben Saville et al. Three of the coauthors are current or former colleagues at Vandy. Assessment of trial efficacy (at interim and final analyses) is determined using posterior probabilities. However, futility is assessed using posterior predictive probability; the probability of concluding efficacy if the trial continues to the maximum sample size. In this example, the outcome is modeled using the binomial distribution, where the outcome probability has a uniform (beta) prior distribution; a conjugate prior. This makes the posterior (also beta) and posterior predictive (beta-binomial) probabilities easy to calculate. 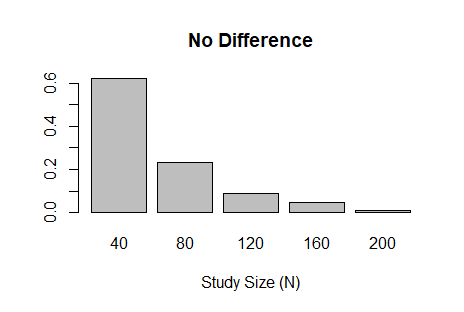 The figures below the code show the sample size distribution under the null hypothesis and an alternative hypothesis, respectively. ## determine the overall type-I error rate. ## of simulation helps us determine the study power.